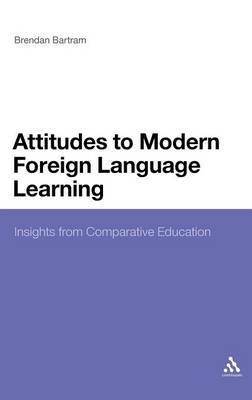 Drawing on the results of a tri-national comparative survey of secondary pupils' attitudes towards Modern Foreign Language Learning (MFLL), this book illustrates both the importance and nature of learner attitudes and the contribution of comparative education to our understanding of educational issues. Questions considered include: What is the nature of the pupils' attitudes to the educational dimensions of learning French, German and English in each country? To what extent do educational factors influence the pupils' attitudes to learning each language in each country? How similar are the pupils' attitudes to MFLL within and between the three countries? What judgements can be made about the relative significance of educational and socio-cultural influences on pupil attitudes to MFLL in each country?